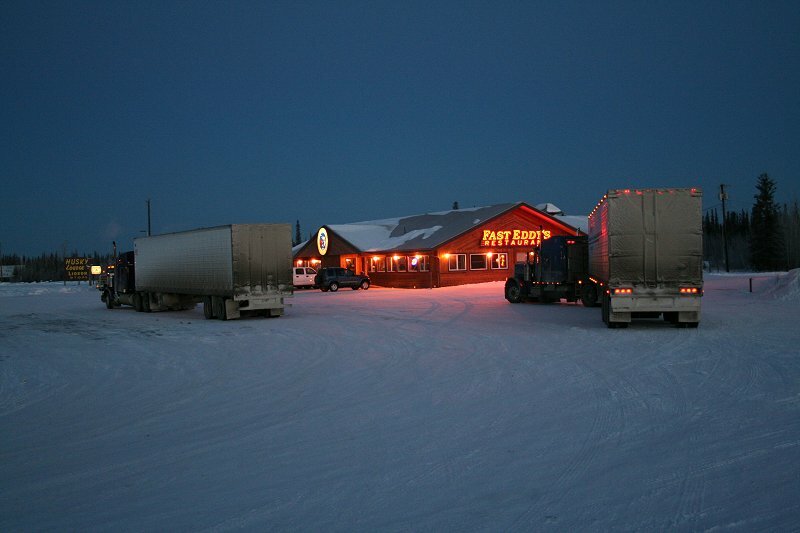 Winter at a truck stop in Tok, Alaska. Just before 8:00 a.m. on February 18, 2006. This photograph is © 2006-2013 by Murray Lundberg, and is not to be copied without express permission.